Quick and easy way to enjoy strawberry shortcake. 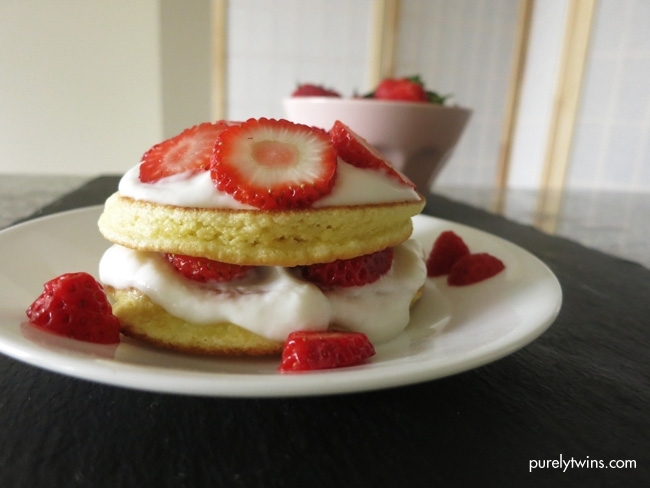 The perfect single serving strawberry shortcake made from just 4 simple ingredients. Recipe is gluten-free, grain-free, soy-free, paleo. In a bowl whisk together eggs and coconut flour. Divide batter into two pancakes. Next begin to build strawberry shortcake. Place one pancake on plate and top with yogurt and sliced strawberries.